Our senior care services cater to the caregiver’s mental and physical well-being. And when the caregiver—you—is healthy, the patient remains healthy, too. Depending on your needs, as well as those of your loved one, a respite care worker will come to your home for a few hours. These visits could be once a week, three times per week or however fit’s your needs. While the respite care worker tends to your loved one, you’re free to get away. You can use these hours to meet friends for lunch, attend a hair appointment, or even read a book in the backyard. The point is, this is your time to rest and recover. 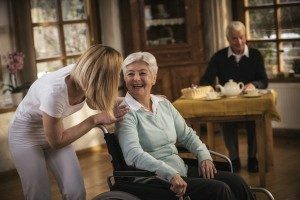 When you call ASSIST@HOME Quality Care, one of our respite care professionals will visit your home and provide you with a free assessment to determine your needs, as well as those of your loved one. Our professionals are very flexible and will partner with you to determine the best schedule for respite care.